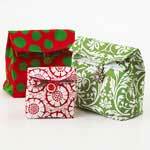 Sewing crafts can be an enjoyable pasttime for yourself or to share with the whole family. Creating your own gives you the freedom to pick out the fabric and print that best suits your own personal taste. When gifting a craft, you can add touches to make it even more personal. 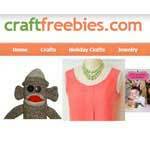 Enjoy sewing asscessories, home decor, kid's favorites and more using these craft patterns. Over 200 sewing patterns with instructions. 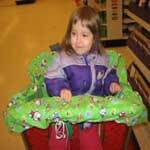 Projects include clothing, toys, accessories, decorations and more. Over 40 easy-to-sew projects to choose from. Bags, totes, clothing, pin cushions, and pet beds are just a few of the projects. 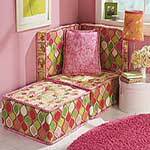 Make your own comfy reading area in the corner with a cushion couch. Some sewing experience needed. Huge assortment of sewing patterns for costumes, clothing, window treatments, stuffed animals and more. 3 craft projects that are easy enough for the kids to create. 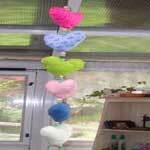 They can sew a hanging heart room decoration, autograph pillow or a windsock. You and your child are grocery shopping, you turn for one second to grab something, you turn around and their mouth is on the cart handle! All those germs, gross! Sew your own cart cover and those germy worries will go away. Rice bags are great sources of heat and serve many purposes. This book cover is durable and helps keep books like new; great gift for those friends that read. Organize all your sewing material with this handy armchair organizer.